After Europe for first two olympiad, the USA obtain the organization of the third Olympic Games of the modern era. Two cities are on ranks: Chicago and St Louis. 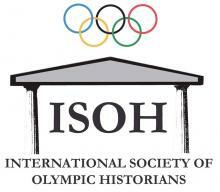 The I.O.C asks the President Th�odore Roosevelt, President of honor of the new American Olympic Committee, to indicate appoint the city which will organize Games. Roosevelt, to avoid that two important demonstrations take place in every end of the country, indicate appoint St Louis. 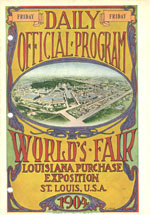 It is so within the framework of the commemorative international exhibition of the transfer of the Louisiana by France that took place Games.